Arunachal Pradesh is fully ready to welcome Tibetan spiritual leader The Dalai Lama during his three-day visit from 4 April, 2017. The Noble Laureate arrived in Guwahati on 1 April, 2017. Buddhist inhabitants of Tawang and West Kamang districts are waiting impatiently for what they see as their life time experience. 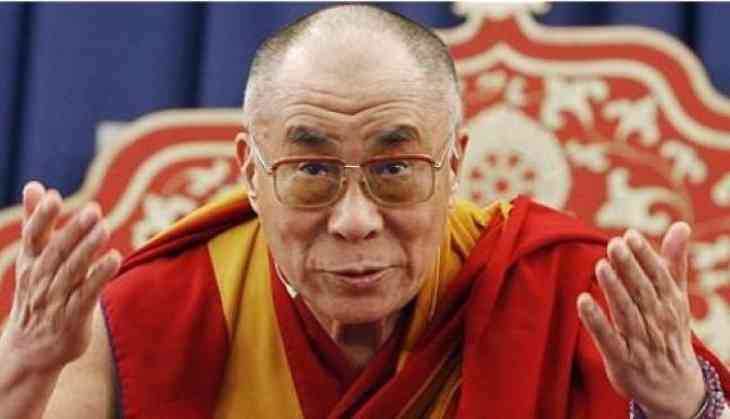 The Dalai Lama is scheduled to visit Lumla, the Tawang Monastery and the Ngingmapa Monastery in Dirang. The local administration in these place has been busy giving a facelift to both of these districts, lawmakers Jambay Tashi (Lumla), Phurfa Tsering (Dirang) told the Arunachal Front. While presenting a paper on 'cultural tourism with a special focus on Buddhist tourism at a national seminar held at the RGU between 26 March, 2007 and 28 March, 2007, I had advocated the need for promoting niche tourism in Arunachal. While approving the concept, an expert Professor S C Bagri, the tourism and hotel management department head of Gharwal University, had suggested adequate publicity with committed involvement of all stakeholders. Arunachal Pradesh's winning the National Tourism Award 2007-08 as the best state for development of tourism infrastructure in February, 2009 was the icing on the cake in a manner of speaking. Tawang is known as The Last Shangri La on Earth, but the monastery was adjudged one of the 'seven wonders of India' on 30 March, 2009 via the Incredible India' campaign of the Union Tourism Ministry. Arunachal, which is strategically positioned between Sarnath in Bihar, Lhasa in Tibet, Fulsiling in Bhutan and several South East Asian nations, can be developed as a Buddhist tourism hub of India. Sacred regions of Pemako in Upper Siang district, Tsari area of Upper Subansiri district and Motongsa in Nampong circle of Changlang district are equally important Buddhist pilgrimages. Ashoka's children, Mahendra and Sanghamitra, toured S E Asia, including Myanmar to propagate Buddhism. A huge stone slab with engraving in Motongsa or Kongmu, located in an inaccessible jungle along the Jairampur-Pagsau Pass route bordering Myanmar, attracts Buddhist monks from far and wide. They reach there by trekking on foot for two to three days, and thereafter, worship and mediate for days together. It maybe recalled that the Dalai Lama was received at Khinzemane after he had escaped from Tibet in 1959. He had taken the Zemithang-Lumla route and stayed at globally famous Tawang Monastery or Galden Namgey Lhatse, seat of Mahayana sect of Buddhism. He had proceeded through Senge Jong, Bomdila, Chako and Assam foothills to Dharamsala in Himachal Pradesh to set up his headquarters from where Buddhism flourished and spread across the globe with renewed vigour. The Tawang Monastery is 450 years old and has a 27-feet-tall imposing golden Buddha in meditating posture, built by Merak Lama Lodre Gyasto in 1680-1681 to fulfill wishes of 5th Dalai Lama. It is the second largest Buddha-related statue in the world after the one in Lhasa,Tibet. Tawang's Buddhist belt boasts of monasteries and stupas while entry-less Gorsam Chorten (stupa) is unique and opens once every twelve years for the believers to pay their obeisance. Khathing festival or Shanken Festival or Water Festival reflects the great Buddhists traditions. 84,000 candles symbolizing same number of stupas built by Ashoka during his lifetime are lit during the festivals for world peace.